Scattered leaves like confetti on the shallow pond. The Koi feel celebrated by Autumn. This is a mixed media piece I just did this morning. 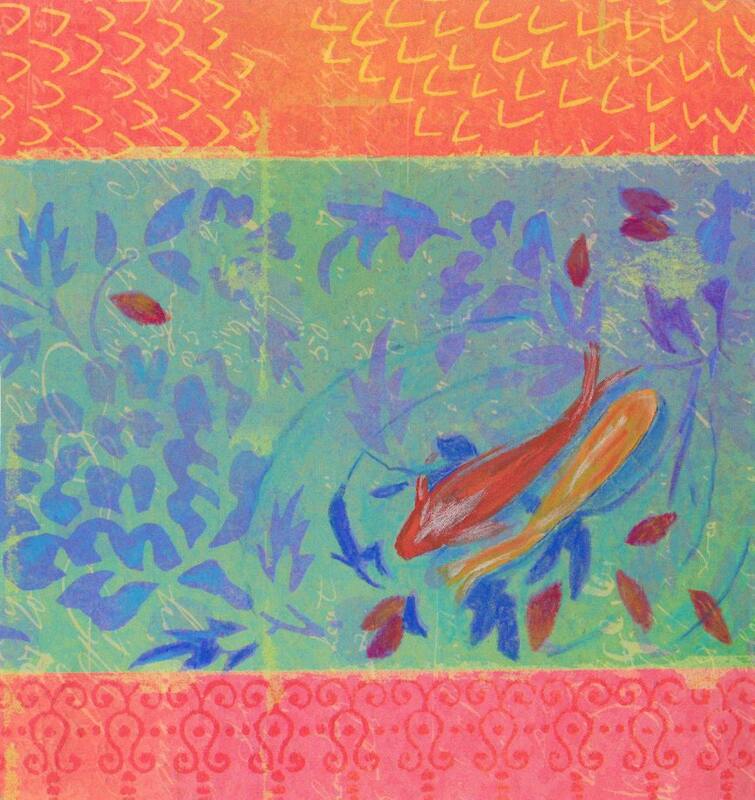 The patterned paper was the perfect background for my painted fish and leaves. There is a little glitter on each card for the watery shimmer.